Unlike the two previous years we are not knee-deep in snow and it is remarkably mild here in Hampshire. Something I am sure the wildlife in the gardens here and in the surrounding woodland is taking full advantage of. There are still insects about and access to the woodland undergrowth is made much easier because the ground is still warm. Relatively speaking that is. I remember last year any attempts to dig herbaceous borders over in preparation for the new season was quite interesting. The spade simply bounced off failing to make any progress into the ground no matter how determined the effort. A stroll around the grounds and woodlands reveals lots of activity. The occasional Muntjac deer, sometimes known as Barking deer, nibbling our Yew tree hedges, water fowl on the lake vocally announcing and re-establishing their territories, moles tilling over the soil and making a mess of lawns; another job to sort out later. In the woods there are a multitude of bird species going about their business, foraging and eyeing up potential new properties for the nesting season. Although it’s a quiet time of year for us here in the gardens this is always broken by melodic bird song, Robins, Blackbirds, Thrushes and other common species. In fact I am frequently stalked by Robins, ever hopeful that I will turn over some nutritious morsel. 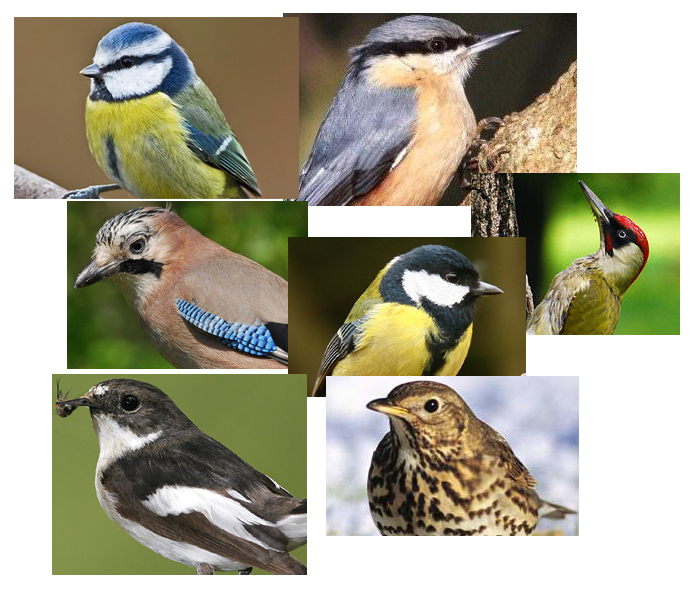 So if you’re down in the woods today… Well, there may be no bears having a picnic but you can have a go identifying the following birds and perhaps if you’re quiet and sharp eyed, you too will get to see a few surprises.